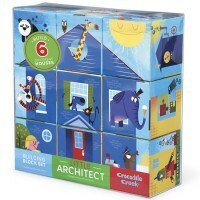 Crocodile Creek's mini puzzle blocks bring 6 kids' favorite vehicle puzzles on the sides of four cubes! 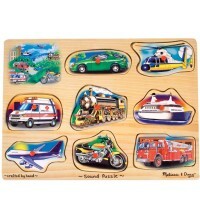 You get not one, not two, but 6 kids' favorite vehicle puzzles with this Crocodile Creek's set! 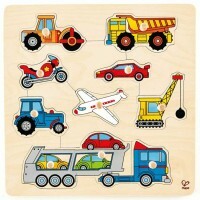 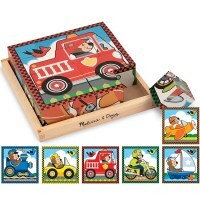 Vehicle Mini Puzzle Blocks 4 pc Set features beautifully illustrated four cubes that have 6 sides of vehicle pictures. 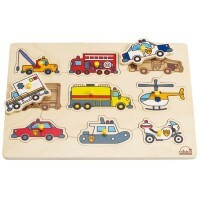 Put together a school bus, police car, steam train, bulldozer, dump truck or fire engine and see which vehicle is your favorite! 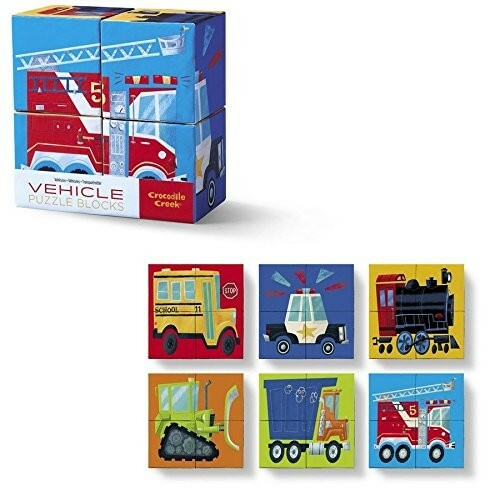 The vehicle blocks have vivid color backgrounds to find the right side of the cubes. 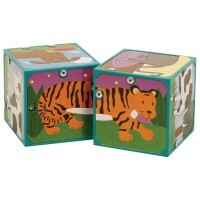 The puzzle cubes are made of eco-friendly durable cardboard with kids-safe materials. 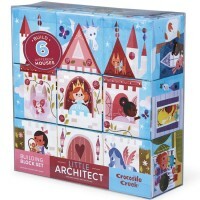 Each 2.25-inches block is sized perfectly for the little hands. 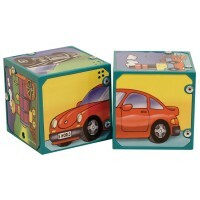 This vehicle puzzle cubes from Educational Toys Planet make a great small gift or basket filler for preschool car lovers. 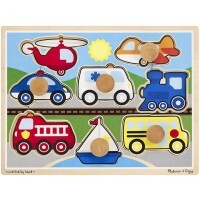 Ready, set, vroom! 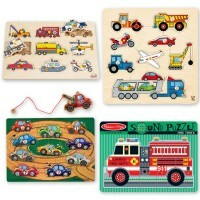 Dimensions of package 0.0475" x 0.0475" x 0.0225"
Write your own review of Vehicle Mini Puzzle Blocks 4 pc Set.